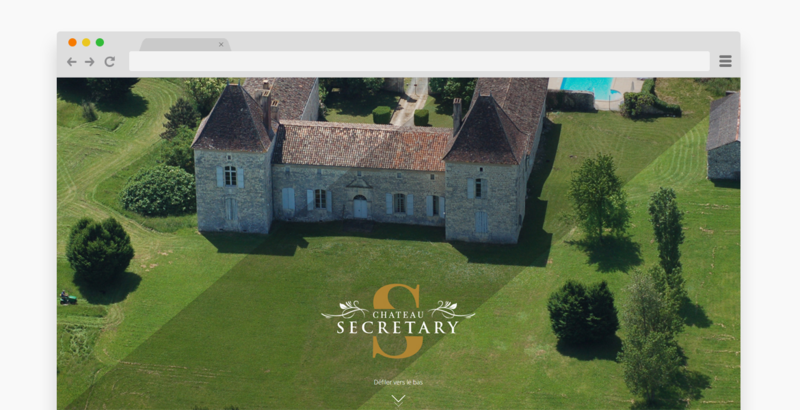 Chateau Secretary is a magnificent castle dating back since 1640, currently restored as an exceptional holiday destination. Offering a scenic spot second to none, in a rural corner of southwest of France, this self-catering accommodation gratifies the needs of exquisite travelers. 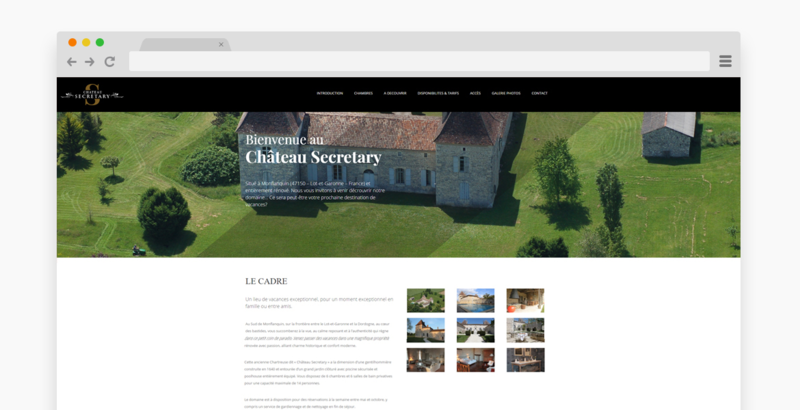 Here’s how we helped Chateau Secretary promote a medieval castle through the most modern communication channel and reach the right customers every single time. 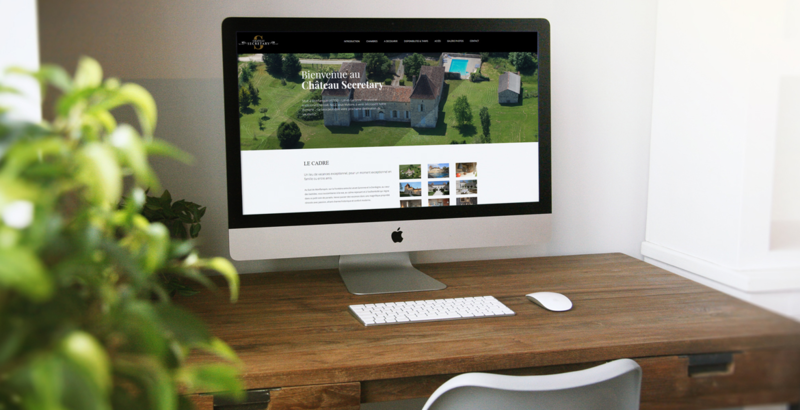 For their website, we have developed a custom theme that perfectly caters their business needs. 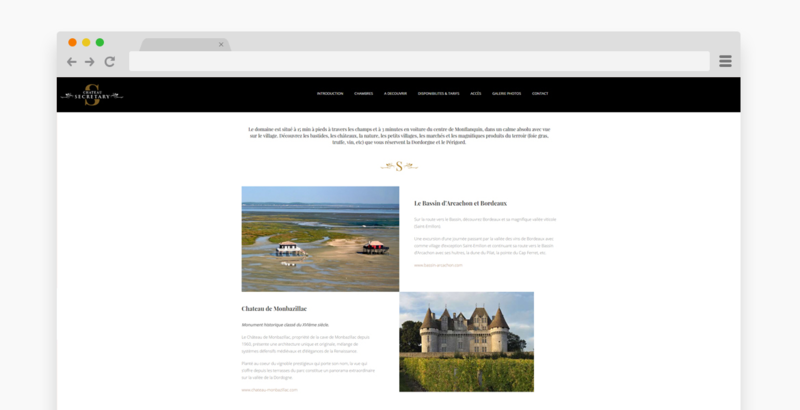 At the same time, the entire WordPress architecture and design had to reflect the elegance, the charm, and the medieval romance that Chateau Secretary boasts. Our skilled developers focused on a simple and easy to navigate architecture, allowing high-quality images to speak for the quality of their services. As you will easily notice from the screenshots below, it was all built with the best user experience in mind. 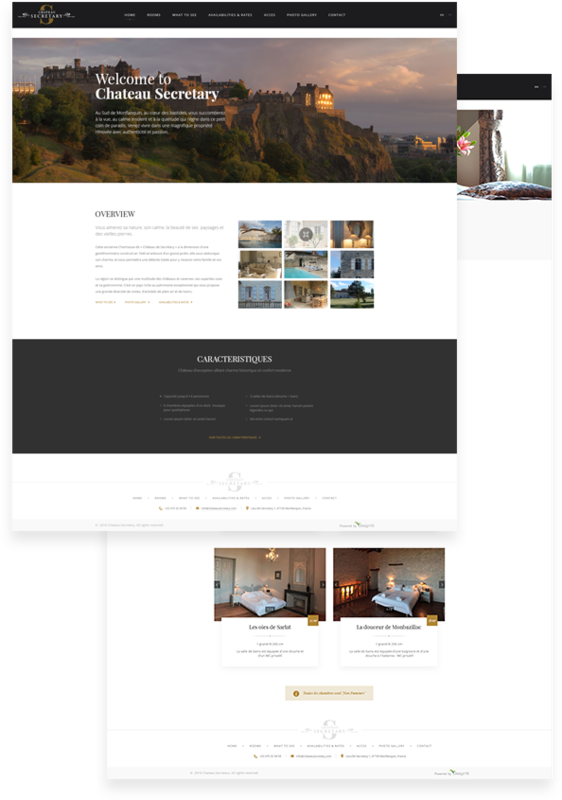 Given our client’s desire to keep an open and up-to-date communication channel with their guests, we had to provide flexible means of content update. 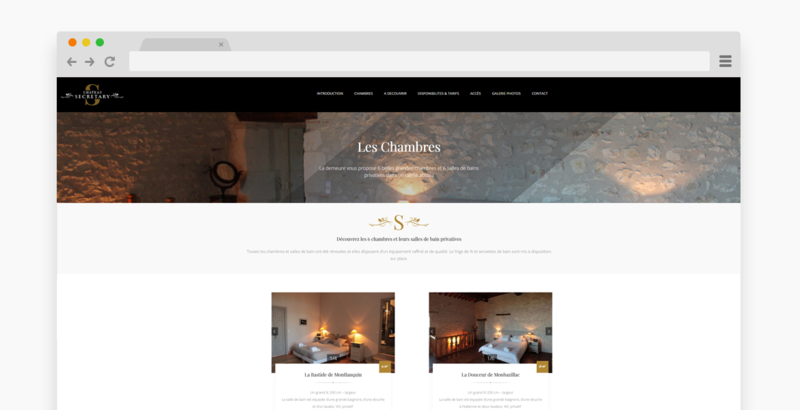 Consequently, we developed a bespoke theme where adjusting prices depending on season and adding online or offline reservations is a breeze. Communication between client and customers has significantly improved thanks to this custom WordPress module. In addition, WordPress being subjected to different vulnerabilities at times, we invested a lot of resources in making this theme secure and prevent malware infections. We have, therefore, provided complex solutions for securing the theme as well as consultancy in the selection of the most appropriate hosting package. While simplicity, for both the client and the end user, was one of our top priorities, all the back work of our developers and designers was anything but simple. Needless to say, the design elements follow the same pattern of simplicity, with a touch of elegance reflected particularly in the chosen fonts and the graphics of certain typography elements. Do you love our online and personalized WordPress platform?